Are you fascinated about the way things work and love solving problems? Do you want an amazing experience, a salary, and get to go to university as well? This is an exciting opportunity to get into the world of work, earn money, and gain a degree in Broadcast Engineering. The degree is fully funded, including your accommodation whilst at the university. 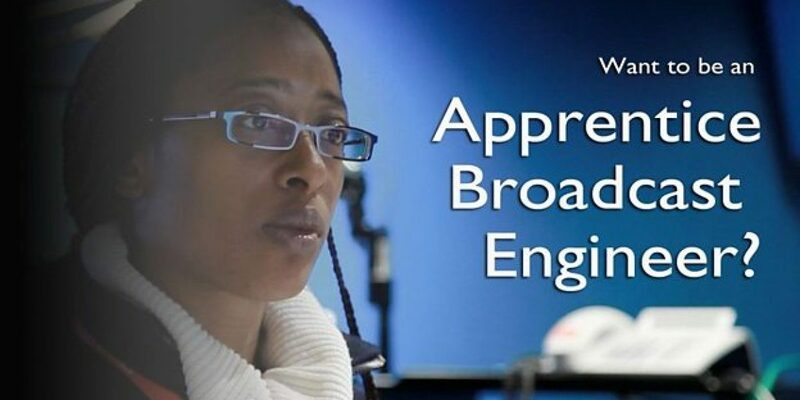 You’ll get to work at the heart of technology at the BBC and with their industry partners, all while studying for a degree in Broadcast Engineering. You’ll have a main BBC base, but you will spend periods away on study. Through a series of university taught modules and industrial experience we will prepare you as the new generation of Broadcast Engineers to help build and support the future business. You’ll develop an excellent theoretical and practical understanding of operational and technical systems, as well as equipment and their use in the fast-moving broadcasting industry. You will rotate through engineering teams responsible for installing, fixing and maintaining the studios and equipment, and will also do placements with other departments working on engineering projects. They’re not looking for work experience but throughout the application process, they’ll be asking for evidence that shows your passion for technology. The minimum academic criteria is at least 112 UCAS points (300 if before 2017), including a Maths A level or equivalent qualification or closely related subject. To be eligible for this scheme, you will also need to have the right to work in the UK. 25 days’ annual leave and a range of flexible benefits. For more detailed information, please visit the official website.